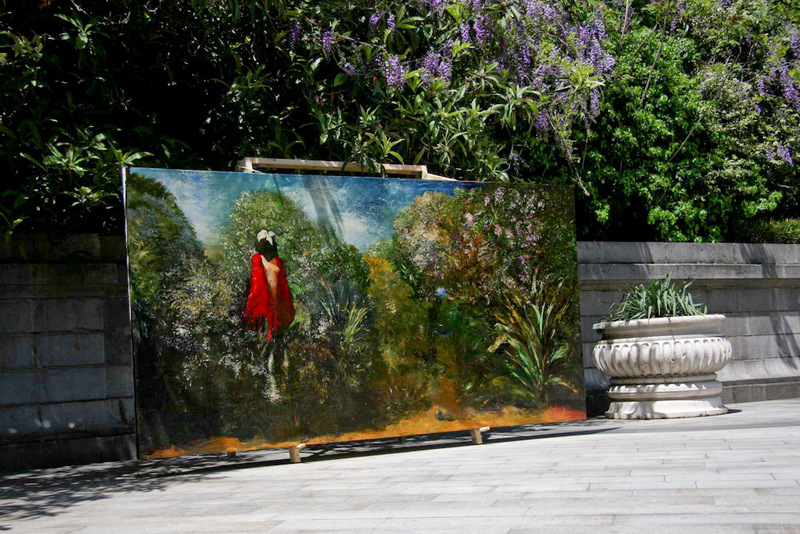 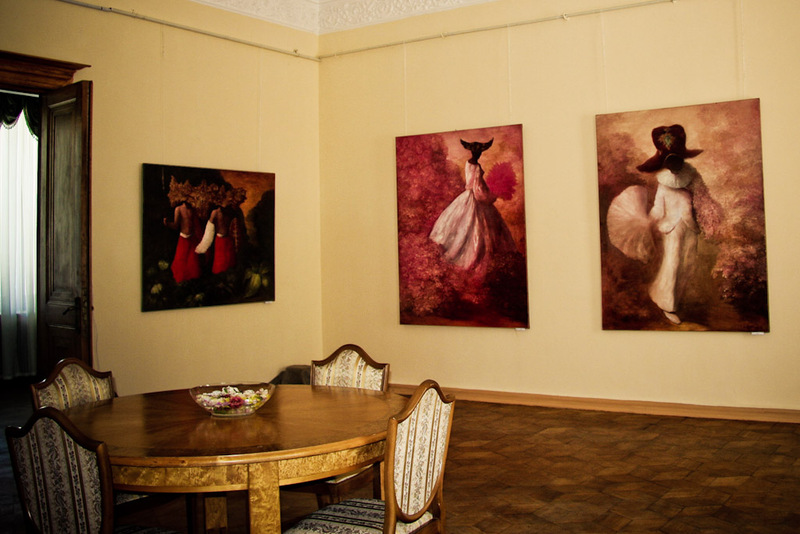 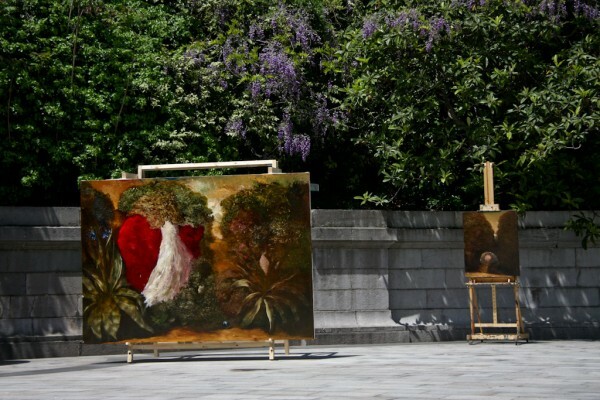 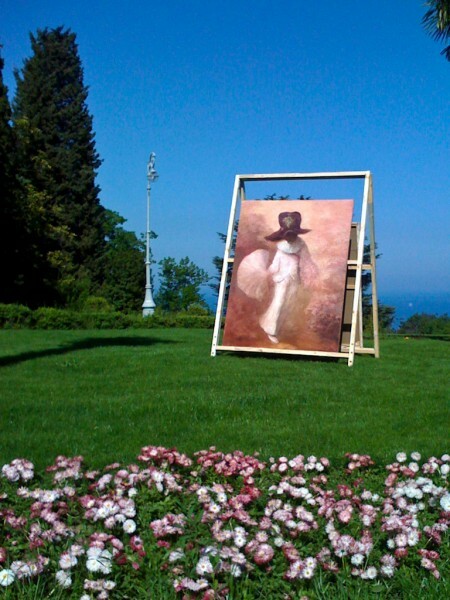 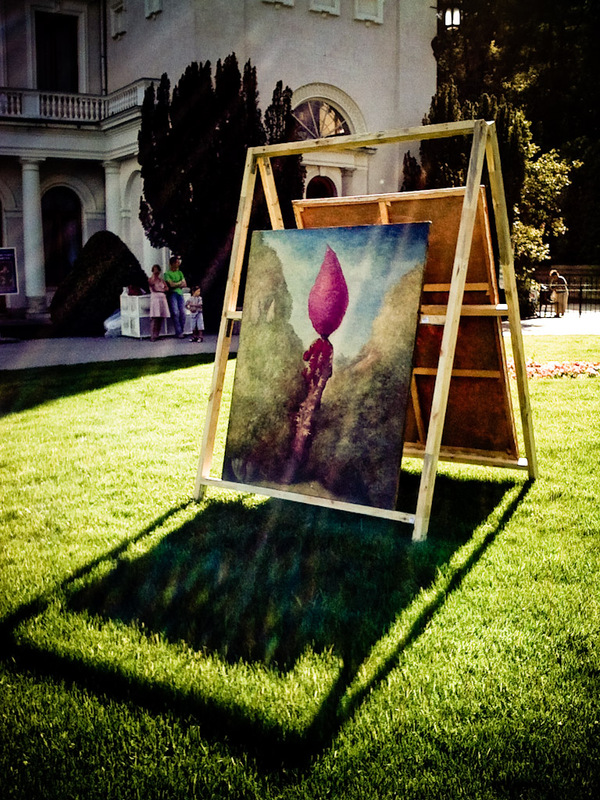 This art project was presented in historical Livadia palace, the last house of russian Car Nikolai II and his family. 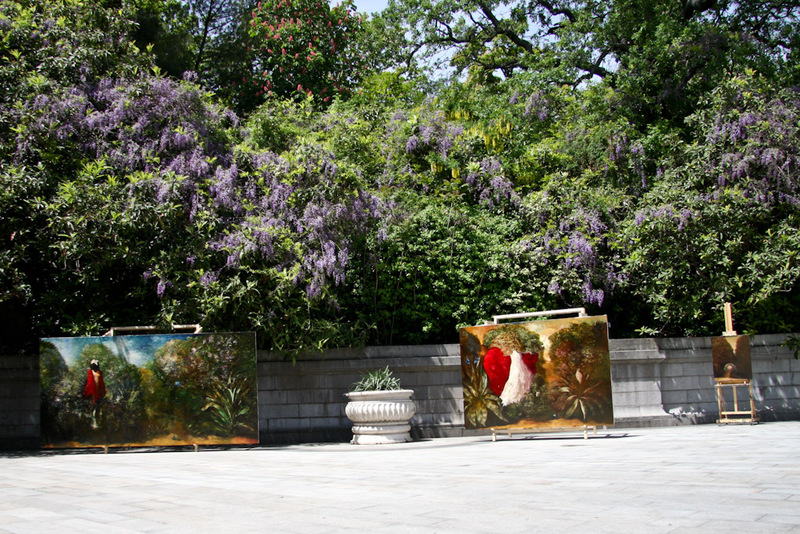 Installation was shown inside halls and parks of Livadia Palace. Cycle of painting was created by Sigitas Staniunas during ongoing exhibition accompanied by music of Paulius Kilbauskas.